Nolte partnered with the Domality team to help bring the vision for safer, more secure homes and networks to life. Network health has never been more important. 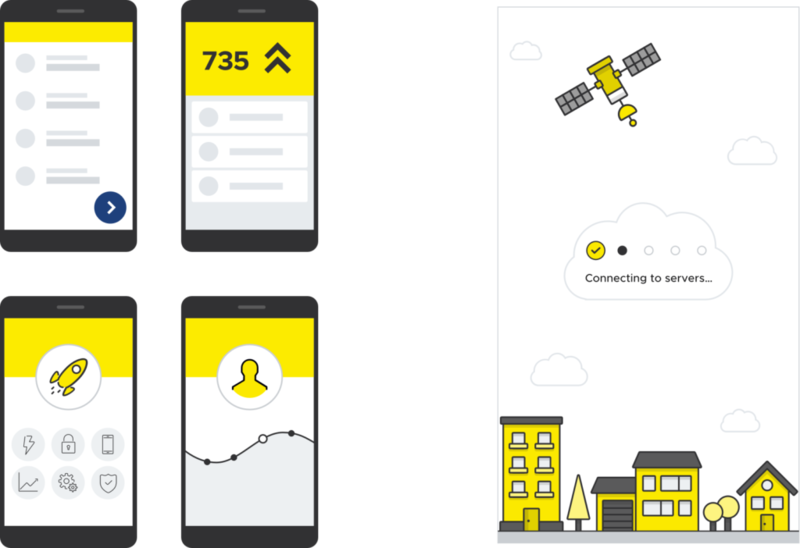 For this reason, the Domality mobile application was built in 2018 aiming to empower its users by giving them a better understanding of how their networks work behind the scenes. The application audits the users’ network and compares device information and its firmware to a database of the most up to date hardware and software information. 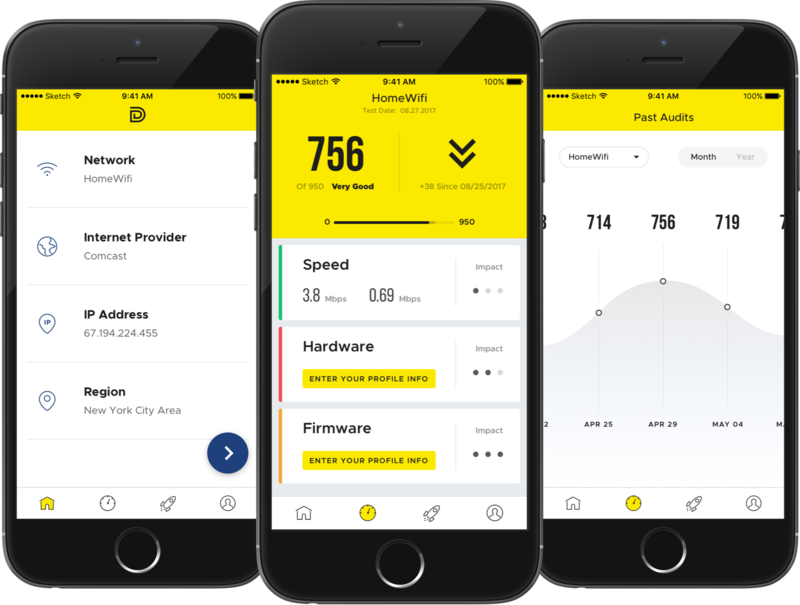 Once connected, Domality will alert the user of any issues with their routers, smart home technology, mobile, desktop, and any other devices connected to the network. In addition, Domality ensures that the users are getting the most value for their money from their ISP by auditing performance against the ISPs paid plan information. Yan Tseytlin, Domality’s founder had a clear vision of the problem at hand. He realized that there was a multitude of issues within home networks and the wide array of smart and mobile devices connected to them that go undetected, increasing their vulnerability. As we become more reliant on the connectivity provided to us by the Internet, there have been many security breaches, most notably the Conflicker worm case where webcams with insecure firmware were used to penetrate approximately 450,000 computers and illegally access data. Domailty aims to mitigate these occurrences. Collaborating with Yan and the Domality team, we applied Agile Methodologies to execute this project. We worked closely together on reviewing the provided research and the selection of the most adequate technology solution, in this instance React Native. During the process, we assisted with product strategy allowing us to build an initial prototype. A series of 1-week sprints were carried out to continuously develop and fine tune the prototype over a couple months. This allowed us to incorporate testing against real users in beta groups as laid out in the strategy. Through this collaborative relationship between Nolte, the Domality team, and the beta users we were able to iteratively improve the product, thus achieving the objectives defined at the beginning of the project. Nolte built the initial prototype for Domailty using Invision. 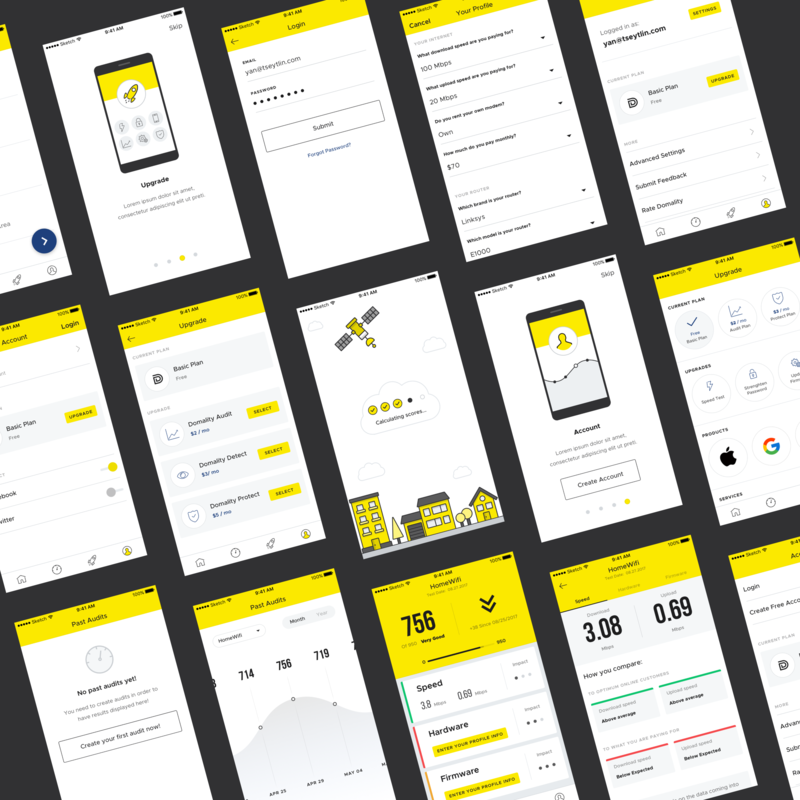 The development of the product was done using React Native which allowed us to use the same codebase to deploy the application to both Android and iOS devices seamlessly. To validate the user experience through beta user groups usertesting.com was our choice. 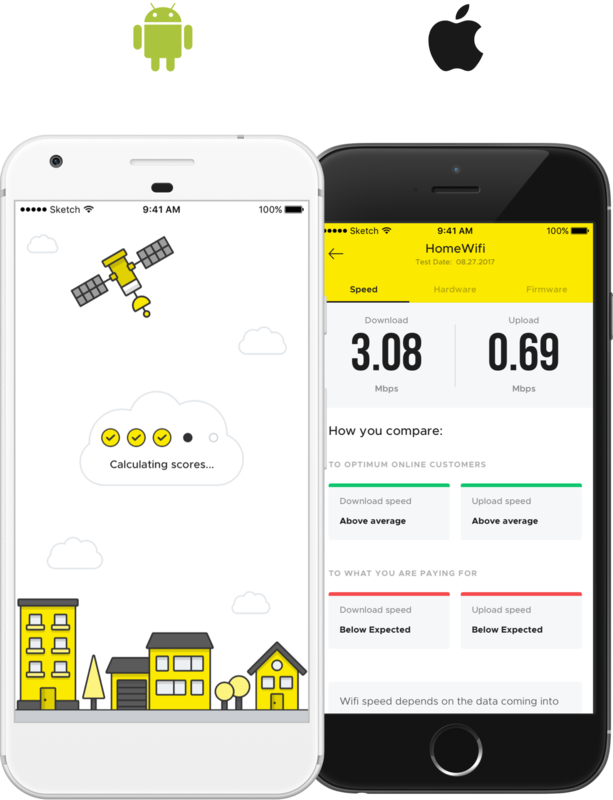 To provide the best experience for the Domailty team with the application, Firebase was used for its scalability, access to analytics and crash reporting. 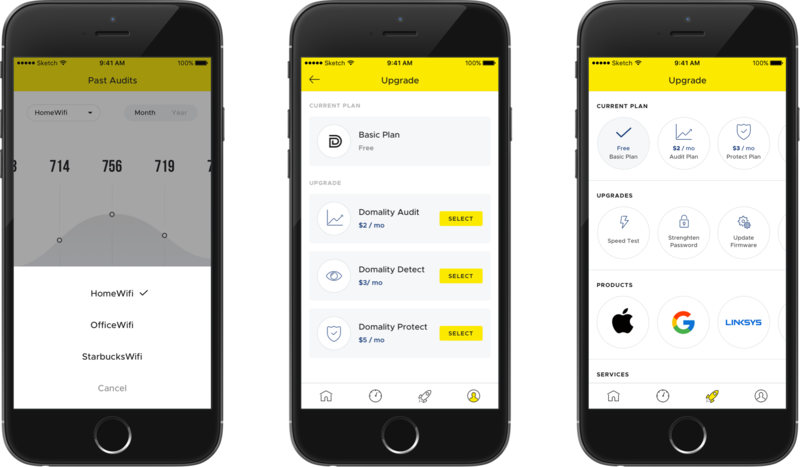 With this integrated solution, the Domality mobile application is easily able to audit LAN networks providing users with important insights about their home and/or office networks which will help keep them safe. In addition, the Domality team is now able to share high-value recommendations with its users in order to ensure they are having the best possible experience on their network with all connected devices.